You are an individual and you want to be part of and support our collaborative and humanitarian adventure? You can make us a donation through our donation page or by sending a check to Sail for Water at the headquarters of the association, 15 Boulevard Flandrin, 75116 Paris. Also, please do not hesitate to send us messages of support on our Facebook page, through our Contact page or by courier! Several types of partnership could be considered (material, financial, skills). If you are interested in supporting the values that Sail for Water is representing, please contact us at info@sailforwater.org or directly through our Contact page! Sail For Water is recognized as a General Interest NGO. In both cases, you can deduct a portion of your donation from your annual taxes. We will send you a tax receipt once your donation would have been done. If you are an individual, you will be able to deduct 66% of the amount of your donation from your income taxes, and if you are a company, you will be able to deduct 60% of your donation amount (French taxpayers only). ARKEMA is the designer of materials and innovative solutions, Arkema shapes materials to create new uses. As an innate innovation entrepreneur, Arkema accelerates customer performance every single day. Buoyed by the collective energy of 19,200 employees, Arkema cultivate interaction with the world around us. SEPALUMIC is among French leaders in the conception and supply of aluminum based profiles systems. Since 50 years, the company has been designing a large range of products for the use of aluminum carpentry craftsmen and manufacturers, allowing them to install innovative, tailor-made all French designed solutions for their clients. SEPALUMIC is proud to perpetuate the values of a family-owned business : human relations, close partnership, innovation and co-development. They led the company, which already has a long-lasting commitment to a professional skipper (Frédéric Duthil), to support Sail for water. WEATHER ROUTING INC. is the world leader in yacht forecasting. Weather Routing Inc. is a private forecasting company specializing in marine weather since 1961. They provide marine weather forecasts and routing advice to yachtsmen worldwide for trans-ocean crossings, coastal transits, area cruises, and day trips. NECOTRANS is a key player in international logistics, established in more than 40 countries, mainly in Africa. Necotrans provides logistics solutions adapted to the needs of the continent with a multipurpose network (port and logistics activities, freight forwarding and oil logistics). USHIP is the leading distributor of equipment for yatching. Uship network is spread all over the French coast, Guadeloupe, Spain, Italy, Reunion Island, Switzerland, Tunisia and Morocco. It is also a website where 10,000 products are referenced. ADVANCED TRACKING is specialized in satellite tracking and communication solutions. They track more than 1000 boats across the world, but also hikers, backpackers, adventurers, trucks, trailers, containers, cars, motorhomes, 4×4, motorcycles, two wheels etc … Emergency service 24/7 worldwide. PNJ CAM is the exclusive distributor in France, since 2010, of AEE Magicam products that includes a dozen embedded mini camera for sport but also security cameras, as well as professional and general use drones. The brand relies on high-quality products sold at the best price in order to open the market to the greatest number. SANIMARIN SFA is the specialist in automatic marin toilets. Sanimarin toilets’s technology provides a real grinding and a powerful pumping system for effluent. These unique perfomances made its worldwide reputation. HARKEN is a leading manufacturer and marketer of quality sailboat hardware and accessories. their gear has dominated such events as the America’s Cup and Olympics. Their blocks, travelers, furling systems and winches can be found aboard everything from the smallest dinghies to the largest megayachts and cruisers. TRIBORD is the “passion brand” by Decathlon for all water sports including sailing. Their goal: make us want to “go back to the water” as often as possible, everywhere, in all seasons, in any conditions. EUROP ASSISTANCE, inventor of the assistance, intervenes around the world to provide its 300 million customers worldwide, individuals and companies, appropriate solutions to exceptional situations or those of everyday life, 24 / 24 and 365 days per year in the areas of Travel, Automotive, Health, services to Home & Family. SOTRALU, designer and equipment manufacturer for the aluminum joinery, is the leading European company in the hardware accessory for sliding aluminium with more than 30 years of experience. MOM’S is specialized in the Alpargatas, this rope-soled sandal stemming from the Argentine popular culture. Sewn by hand in the city of Nueve de Julio, 300km from Buenos Aires, they differ from the basque sandals by their strengthened canvas and their rubber sole Eva. LE CAB, the leading Parisian private driver service, is revolutionizing transport in Paris: it provides an affordable and convenient service of high quality. It is the missing link between Autolib, Vélib, public transport and taxis, making getting around Paris easier. 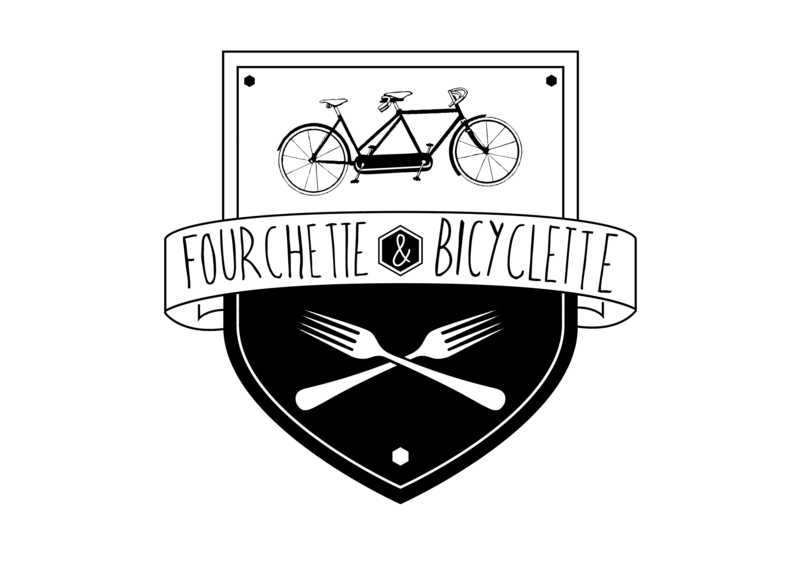 FOURCHETTE ET BICYCLETTE is a young startup from Toulouse. At Fourchette & Bicyclette, we talk about adventures, travels, discoveries and friends… From one tasting to another, the friends and co-founders pick and choose the best of the best of the traditional producers from our local lands. WAVES FOR WATER, NGO created in 2009, provides clean water solutions worldwide through ongoing projects and a volunteer program. They have already distributed over 100,000 filters in dozens of countries around the world. ECUASOL aims to help children and adolescents from disadvantaged neighborhoods, as well as their families, to enable them to access education instilling strong human, academic and social values. Their goal is to increase equality of opportunity and to offer them a better future. SAIL THE WORLD, is the french association for long cruising planification. Their Website is a gold mine to prepare a long journey. Sail the World also provides all the necessary training for a successful and safe offshore cruising.